An Himalayan paradise, Himachal Pradesh has something to offer for everyone. The world’s greatest mountain system, the Himalaya, seems to have chosen Himachal Pradesh to hold some of its greatest treasures. Himachal has, arguably, some of the most enchanting landscapes on Earth. It is an area where subtle combinations of the majestic and the gentle have been woven with remarkable intricacy. Pilgrims, adventure seekers, mountaineers, artists, wildlife watchers, photographers, artists and trekkers will all be able to find something that will resonate deep in their souls. Numerous options draw hundreds of thousands of travellers to the state. In numbers, people who visit the state every year, surpass its total population. Traditionally, Himachal has been predominantly rural and agrarian, and well over eighty percent of its population still lives in villages. There are dramatic variations of architecture, lifestyles and terrain – all of which add to the richness of a travel experience. 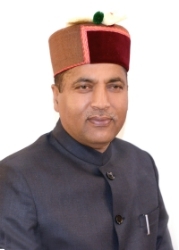 Efforts are being made to promote and publicize Himachal as a favourite tourist destination for all seasons and all reasons in the country and abroad. For Himachal, the start of every season, every daybreak, every sunset calls for a celebration. Anytime is a wonderful time to step into this picture perfect world. I invite the tourists from all over the world to visit and experience the diverse culture, traditions and natural grandeur of our hilly State.